Electrical services are needed every day by homeowners and commercial buildings. It involves services for electrical wiring, panel upgrades, lighting installations, repairs, replacements, and so on. Electrical problems can be tricky and develop into hazards when handled by an inexperienced or uninformed person. Some homeowners try to fix electrical problems themselves or call a handyman to fix the situation. None of this is ideal if you hope to have a reliable, safe, electric system in the home or a commercial building. Local electricians are becoming more popular each day as the solution to most electrical problems or services. A local electrician can be a general electrician with the necessary skills to provide a broad range of electrical services. They are a flexible and beneficial option. When choosing a local electrician near you there are several factors to consider to ensure you get the best services. These include license, experience, cost, availability and so on. When you are able to make the right choice, you get to enjoy the benefits. Here are a few advantages of hiring a reliable local electrician. Local electricians are usually more experienced than those with large corporations. This is so because the use of local electrician increases every day. Homeowners and property managers are able to hire or contact a local electrician easily to respond to their electrical needs. An experienced general electrician can offer you more services and also work faster with authentic information on your needs. This equally saves you cost and time. Large corporations can be quite expensive. They have set cost most times and this can limit the services you receive. A local electrician has flexible cost options. Hence, you can get more electrical services at less cost. A licensed local electrician guarantees you quality service. They do not leave you with bigger problems in your electrical system. They ensure that everything is organized and you are satisfied with the service. Saving energy and reducing its cost is required now more than ever in homes and commercial buildings. General electricians with experience and the right tools can give you good options for saving energy. They can also help with installation or replacements on the electrical wiring to be sure you pay less on energy. Electrical systems must maintain the stipulated standards and codes for them to function properly. A local electrician is well informed on the electrical codes and standard required. Electrical problems can be frustrating if they occur frequently, especially after hiring an electrician. A professional and licensed local electrician gets it right the first time. 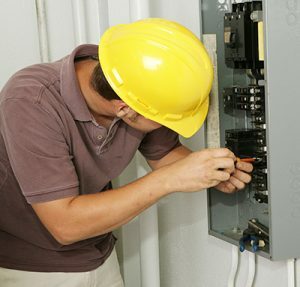 They can identify the faults or needs of your electrical system and provide quality service to solve them. This saves you time, money and gives peace of mind. This entry was posted in Los Angeles Electrician Articles. Bookmark the permalink.